SAFETY NOTE: Every multi-stage rocket is a HEADS-UP Flight. So keep your eyes on the rocket and remember the booster will be descending separate from the sustainer. 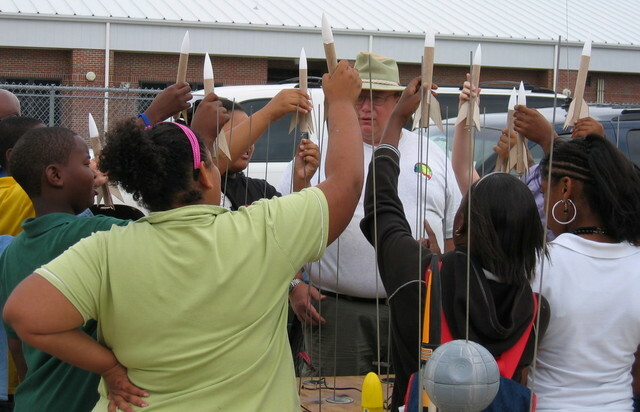 Oscar Patterson Elementary in Panama City, FL is a NASA Explorer School. Their 5th Grade classes built Estes Alphas this year. They were launched in mass today at the school with the assistance of John Hansel and Greg Lane of SEARS. John and Greg also provided a rocketry demo. The 5th Grade is fortunate to be taking a trip to Kennedy Space Center this year. The trip was arranged by Ms. Becky Pelton a Patterson Teacher in cooperation with NASA. Thanks to Ms. Candace Parker for inviting SEARS back for another event. More pictures are available in the SEARS Gallery. John Hansel’s Report: We had a great launch. It was overcast early but the skies did open up somewhat as the day wore on. I was almost summer hot and humid, everyone had to drink lots of water. We set up at the western most sprinkler hub and launch off the side of the road downwind from there. The wind was 10 to 15 from the W to WS. and nosecone of one of his rockets. Chris Short and I drag raced LOC Minie Mags on I-161. I was first off the pad, flew highest and landed last. Chris Short Rocketry was present as a vendor and was please with his sales. Chris had Clark Word in tow from Birmingham. 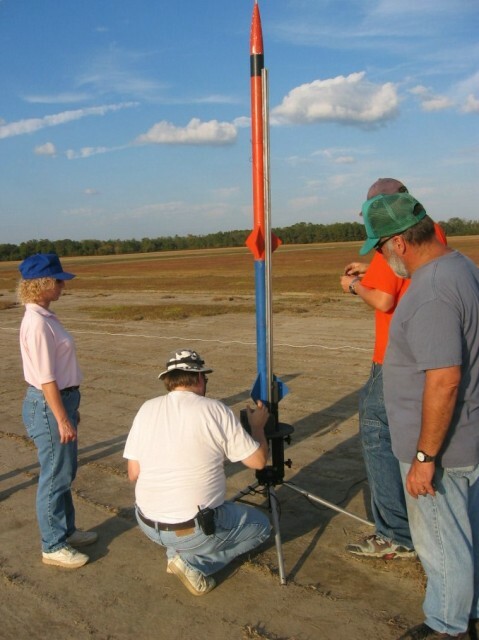 Daymon was there with his wife and flew his first rockets with the club, he also lawn darted his first rocket with us. We had some visitors who came to the launch, found out about us on the web site, name unknown but their 3 boys really enjoyed watching my Ultimate Endeavour go up on a AMW K-1000 sparky. Chris Crews flew a Gizmo on a motor that had it vanish from the pad, what a liftoff! Crews also flew his L3 project rocket on an L motor as a test flight. That was really great seeing that 6 inch rocket come off the tower under an L. There were ten or so of us ended up at Crews-BAR-B-QUE for dinner and rocket stories (lies). Visit our gallery to enjoy more photos and videos. Momma’s has closed. So we will work something else out. We are having Rocket Lunches at Momma’s Place on Wednesdays at 11:40 or so. Mommas is at 6908 Thomas Dr, Panama City Beach, FL. So come talk rockets or anything else. There is plenty of room for guests. If you ride a Harley you will feel right at home. Mommas is the home of the BBQ Sundae. They also have the BBQ Potatoe at John Hansel’s request. Wi-Fi is available and I usually bring my laptop. So until further notice John Hansel and I will be there each Wednesday. Join us if you can. This is not to take away from the gathering at Crews BBQ in Samson on launch days after the gear is packed up. Crews is on Hwy 87 about a mile South of Hwy 52. 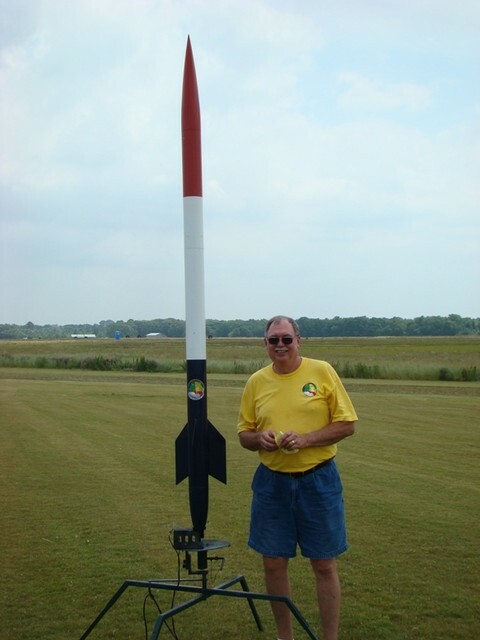 You are currently browsing the SouthEast Alabama Rocketry Society weblog archives for May, 2008.